If your interested in giving your t-shirts a DIY upgrade you should get this book. 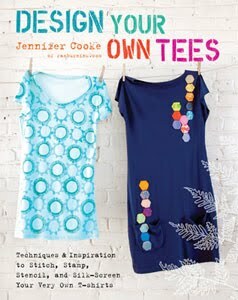 Design Your Own Tees by Jennifer Cooke includes 20 simple projects that involve simple sewing, hand-printing and screen-printing ideas. The instructions to the projects are easy enough for beginners to follow and the materials are easy to come by. 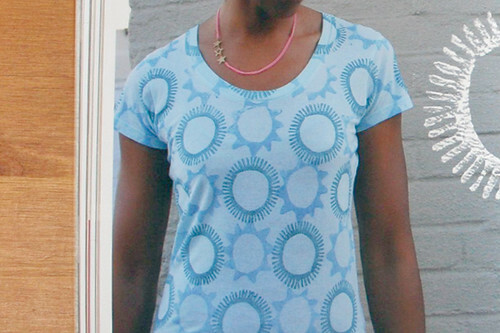 "T-shirts are classic: everyone wears them—and decorating your own tees gives you the opportunity to express your artistic vision or share your crafty enthusiasms. My goal is to inspire you to turn your tees into bold, graphic, personal statements, which is especially meaningful in this era of mass production. "I think she achieved that goal where I'm concerned. I want to dive into one of these ideas and see what I come up with." - excerpt from the introduction. The book is divided into three chapters: texture, pattern and color. 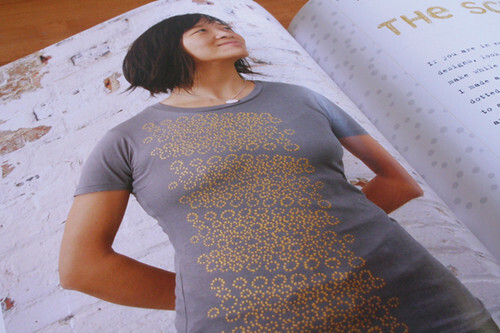 It also shows techniques and ideas that include simple sewing, screen printing and block printing. One of the things that I really like about the book is that there are a lot of tips and variations included in each project. 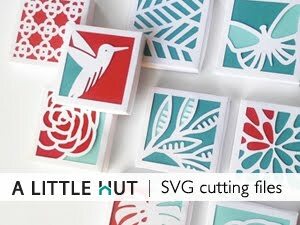 I really like her pattern designs—organic and simple. They are included in the back of the book for those of you that prefer something specific to go by. I'm thinking that this book is going to lead to an afternoon of t-shirt making in this house. I'll report results when we get to it. 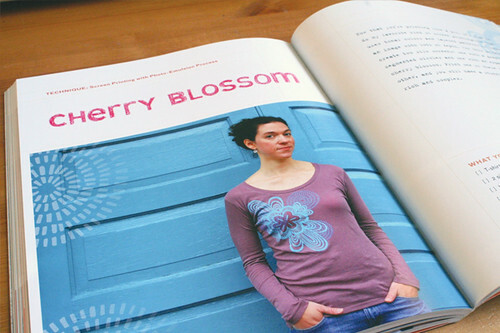 To see more images of the book and Jennifer's portfolio visit her site at Raeburn Ink.